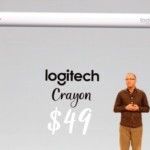 As noted by the folks over at MacRumors, Apple has quietly introduced a bunch of iPhone, iPad and Apple Watch accessories in new spring colours following today’s educational event. Available in bright primary colours, Apple has debuted new iPhone cases, iPad Smart Covers, Apple Pencil covers, Apple Watch bands and more. The new $49 CAD Silicone Case are available in bright Lemonade, Red Raspberry, Denim Blue colours for the iPhone X, as well as for the iPhone 7/8 and iPhone 7/8 Plus. Similarly, new $69 CAD Leather Cases for the iPhone X and iPhone 7/8 Plus have been released in Bright Orange, Spring Yellow, Electric Blue, and Soft Pink colours. For the iPad, a new $179 CAD Leather Sleeve for the 10.5-inch Pro model is available in Soft Pink and Electric Blue colours, whereas $39 CAD Apple Pencil Cases are also available in these two colours. New $69 CAD Apple Watch Sport Bands introduced last week are now also available for purchase in Lemonade, Red Raspberry, and Denim Blue, while $69 CAD Nike Sport Bands are now available in Cargo Khaki/Black, Barely Rose/Pearl Pink, and Black/White colours. New $69 CAD Woven Nylon Bands are available in Pink Stripe, Blue Stripe, Gray Stripe, and Black Stripe, while the newer $69 CAD Sport Loop Bands are available in Hot Pink, Flash Light, Tahoe Blue, and Marine Green colour options. Which new spring accessories are you planning to pick up?